AC Milan secured a return to the Europa League for next season, but they’ll be hoping to push on under Gennaro Gattuso moving forward. After signing 11 new players last summer, the Rossoneri were still left with holes in the squad, most notably a lack of goals up front and quality depth in midfield. Summer signings Andre Silva and Nikola Kalinic struggled for goals, as reflected in their season tallies, while Gattuso was forced to stick with his preferred trio of Franck Kessie, Lucas Biglia and Giacomo Bonaventura for most of the season due to a lack of options. According to the paper edition of Tuttosport, as reported by Calciomercato, Milan could be set to address those issues in the summer with Lazio striker Ciro Immobile, Fiorentina midfielder Jordan Veretout and Marouane Fellaini named as potential transfer targets. Immobile, 28, is coming off the back of a campaign in which he scored an impressive 41 goals in 47 games, and so he could be an ideal addition to add pace, movement and goals up front, qualities that Milan have lacked this season. Lazio agonisingly missed out on the Champions League after defeat to Inter on the final day of the season, and so that could perhaps be a factor that plays into Milan’s hands too. As for Veretout, he failed to impress with Aston Villa over a year ago but bounced back this season to establish himself as a key figure for Fiorentina and could add depth, while Fellaini has already been linked as he’s yet to sign a contract renewal with Manchester United with his current deal is set to expire this summer, as per Sky Sports. 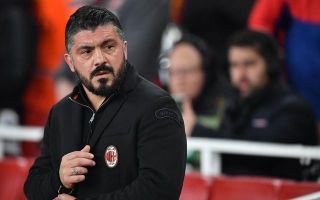 In turn, these additions would directly address problems in Gattuso’s squad, but it remains to be seen if deals can be struck in the coming weeks and months.